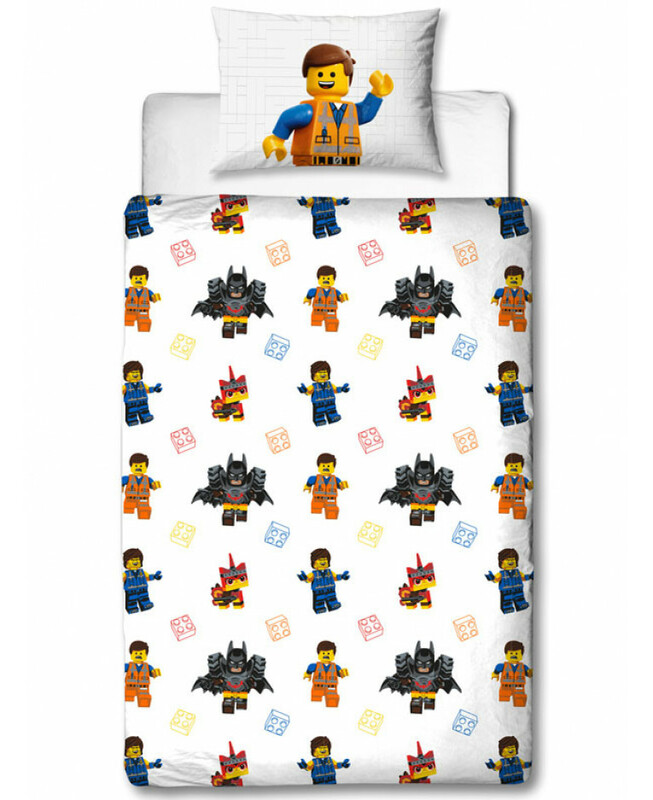 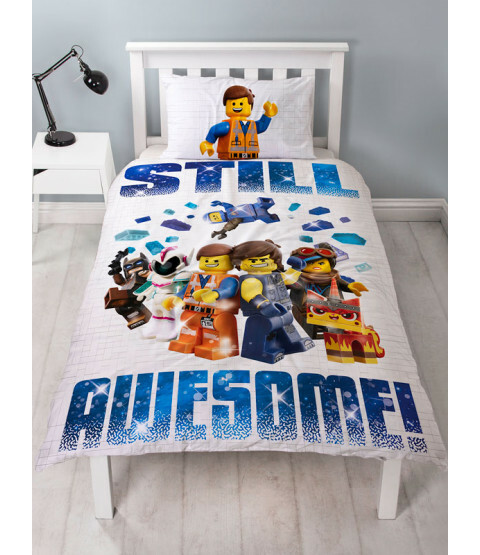 This Lego Movie 2 Action single duvet cover set makes the perfect addition to any Lego fan's bedroom. 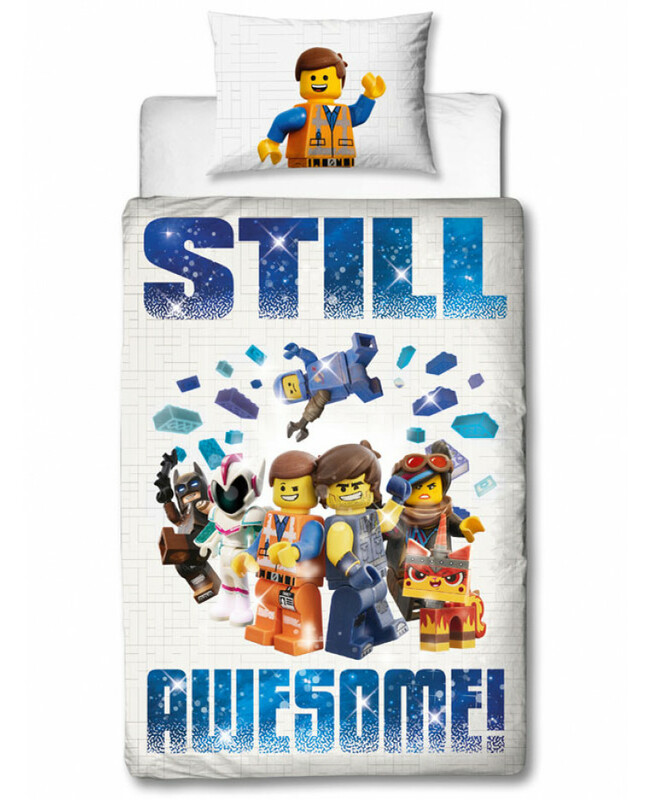 The design features Emmet with Wyldstyle, Benny, Batman, Sweet Mayhem, Rex Dangervest and Ultrakatty on a grey and white checked background with Still Awesome written around them in large blue letters. 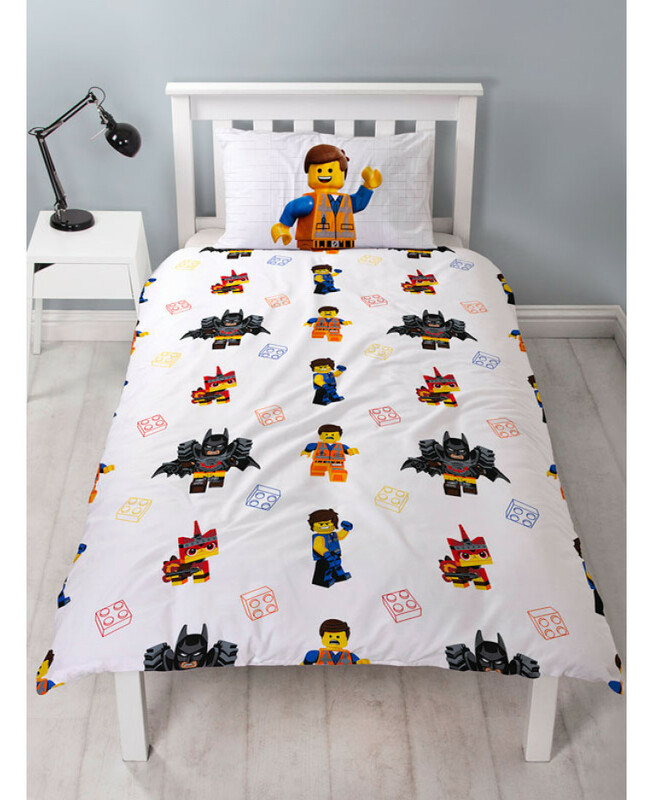 The reverse has a smaller repeat pattern of Emmet, Rex, Ultrakatty and Batman on a white background. This item is made from a polycotton blend and can be machine washed and tumble dried on a low setting.